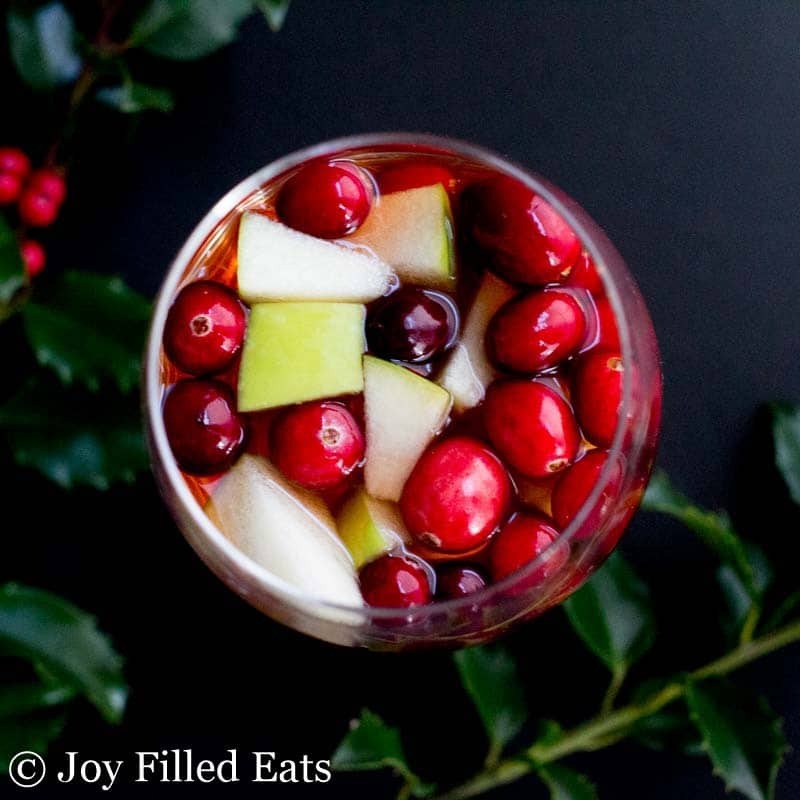 This Apple Cinnamon Sangria is the perfect winter beverage. 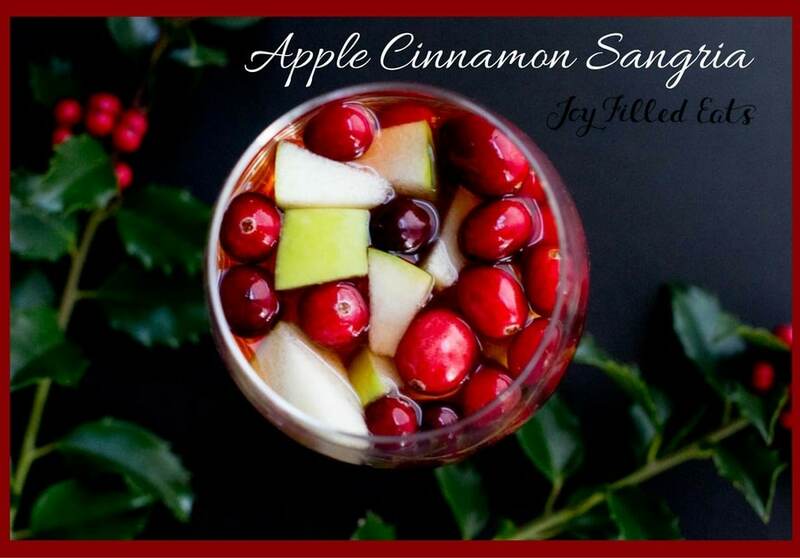 It tastes like an adult version of apple cider but it is sugar-free, low carb, and Trim Healthy Mama friendly. I love fruity, girly drinks. But most of those are full of carbs and sugar. 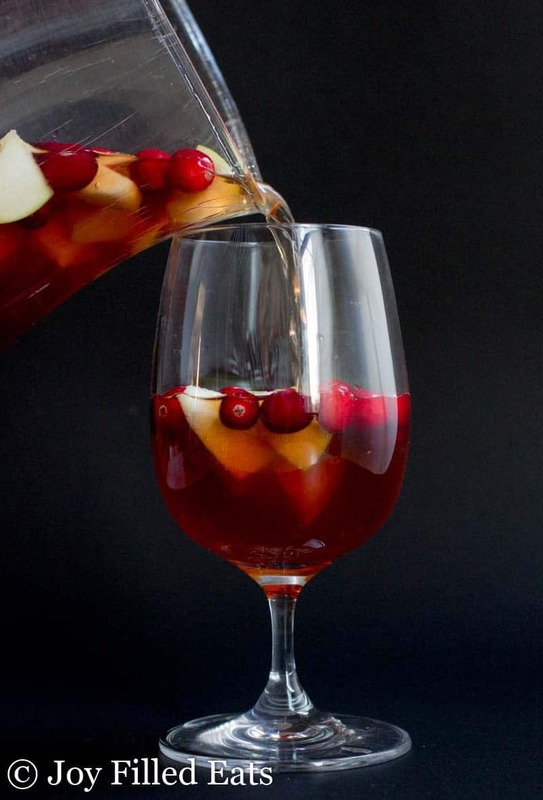 Making sangria is my favorite way to have a special cocktail that is still good for me. Dry white wine is allowed with any fuel type meal on the Trim Healthy Mama plan. If you eat those beautiful green apples floating in it this would be an E beverage. 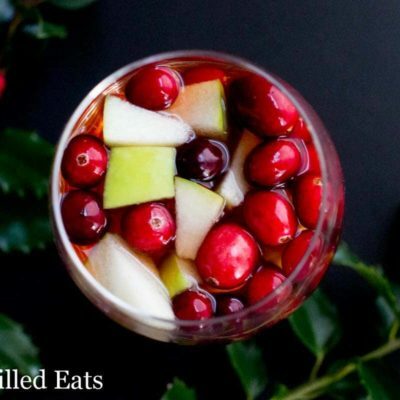 The cranberries are just a garnish. Unless you like raw, unsweetened cranberries. If you do then go ahead and eat those too. They are way too tart for me. Put the tea bags and cinnamon sticks in a large glass measuring cup. Pour the boiling water over them and steep for 5 minutes. 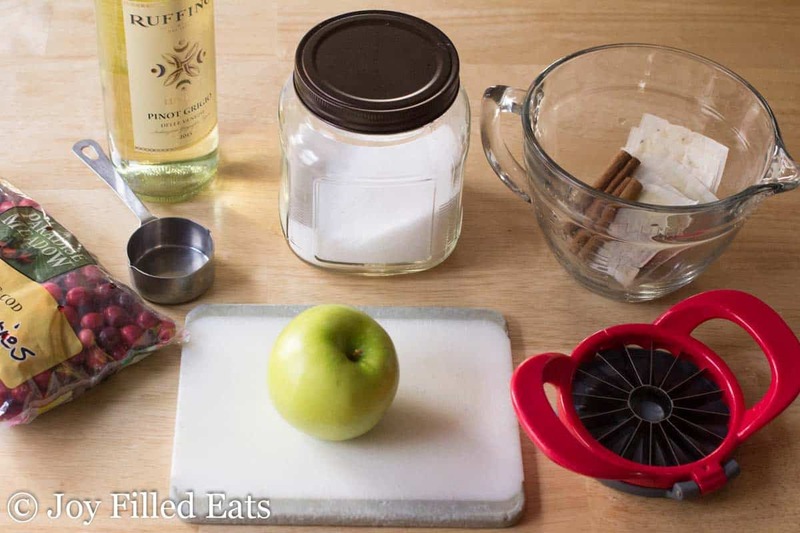 Discard the tea bags and cinnamon sticks and add the sweetener. Stir until it is dissolved. Cool the tea to room temperature. Combine the cooled tea with other ingredients in a large pitcher. Chill for at least 2 hours before serving. 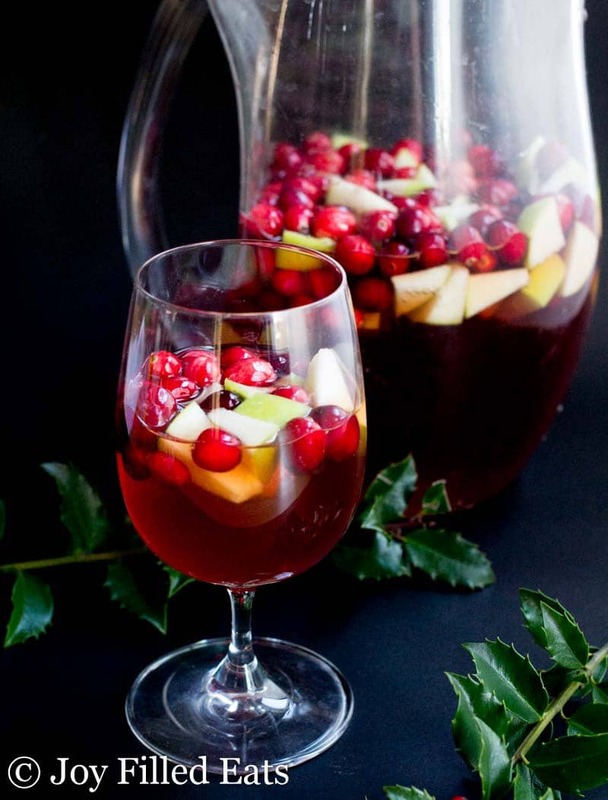 This low carb sangria is perfect any time of year! 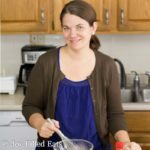 Subscribe to my weekly email newsletter on the right of this page and receive my Easy Family Dinners eBook for free. Up to a week. Longer if you remove the fruit pieces.